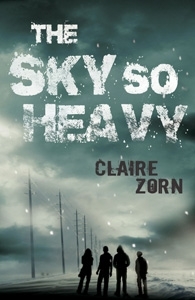 KBR welcomes Claire Zorn, author of The Sky So Heavy, a gripping new novel for Young Adults that is released this month. Can you describe The Sky So Heavy in ten words or less? A group of teenagers struggles to survive a nuclear winter. Or … A bit like The Road but with more jokes. How did the idea for the book come to you? I started thinking about the story roughly two years before I even wrote a word. I remember I was sitting on the train — I find train travel strangely inspiring — and I saw a scene in my mind: a teenager in a dark, cold place, trying to protect a group of people and feeling way out of his depth. I also got a line in my head: ‘I’m sixteen years old and this is the first time anyone’s held a gun to my head.’ With a little tweaking this ended up being the opening line of The Sky So Heavy. I kept turning those ingredients over in my mind for a couple of years. Then the debate over Australia’s treatment of asylum seekers flared again and I was struck by the way a person’s life — their access to food, shelter, medical care and education — is decided by a line on a map. I’ve always really struggled to understand the fear of asylum seekers; I feel that if people could imagine themselves and their families in those circumstances, there would be so much more compassion. So I imagined what it would take to put the average, middle-class Australian in that situation. Is there a message in the book that you would like readers to grasp? I hope that the story can contribute in a small way to the debate over asylum seekers and perhaps reflect the complexities of the issue. I also wanted to engage with the idea of a generation inheriting the stuff-ups of their predecessors, especially global warming. I didn’t set out to allude to that with the climate change in the book — but I like the way it is a sort of inverse global warming. 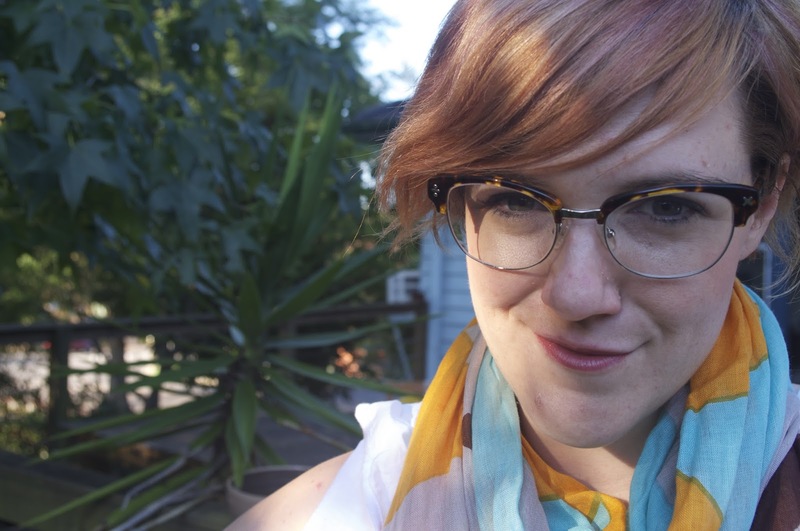 Why did you choose to write in this genre? I like the immediacy of Young Adult fiction. I’m a very impatient reader — I want to get to the meat of a story as soon as possible — and I think that translates to my own writing. I tend to have no trouble ruthlessly pruning my stories to get to their core, which suits YA. Young readers have such a strong, shall we say, ‘crap detector’. You have to work to hold their attention. There’s nowhere to hide and I like that challenge. I also find teenagers to be the most fascinating characters. They’re so savvy, yet there’s such vulnerability to them as well. Those years on the edge of adulthood are so complex and I really like stories that push their characters over the edge from childhood into adulthood. All my favourite books are about characters taking that journey. Your manuscript was picked from the slush pile! Did you have the manuscript professionally edited before you sent it out to publishers? It was picked from the slush pile in a round-about way. I reached a point with The Sky So Heavy — which I think every writer gets to — where I couldn’t keep working on it without some quality feedback. Which was when I paid to have a structural report done on it. I chose someone with lots of experience in YA, who was very well regarded in publishing circles and it was the best thing I could have done. The feedback she gave me really helped me get the manuscript to a standard it couldn’t have reached without fresh eyes. I re-drafted the whole thing after I got that report back and then submitted it to agents. While that was happening UQP put out a call for YA manuscripts. They stipulated that they weren’t looking for speculative fiction, so I didn’t submit The Sky So Heavy, but another manuscript. They were interested in this other story, but it wasn’t quite ready enough for them to offer me a contract. By this time I had signed The Sky So Heavy to an agent and she suggested that they have a read of it. I think I submitted it to about four agents before it was picked up.